When people ask what kinds of things I do for fun, I usually include "board games" in my list of hobbies. But then I worry that they don't know what I mean by "board games." Because, let's be honest. 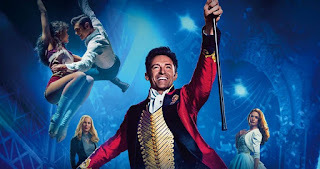 If I asked you if you wanted to play a board game with me, and you assumed I was talking about Monopoly or Risk, you'd probably picture a multiple hour experience, which starts out fun, but devolves into one person slowly winning while everyone else excruciatingly approaches defeat. But, as I learned several years ago, the tabletop gaming is so much bigger and better than Snakes and Ladders, Candyland, Monopoly, and Risk. My introduction to the wide world of tabletop gaming began in 2013, when Jess and I were meeting some friends for lunch. When we got to the restaurant, our friends Tim and Mariyoli were already there, and they had a bunch of cardboard tiles and wooden figures (meeples) out on the table. They told us the game was called Carcassonne, and the explained how to play it. Each player places tiles and scores points by creating cities, roads, farms, and cloisters. Apparently, they had only been introduced to the game the day before, and liked it so much that they picked it up on the way to the restaurant. 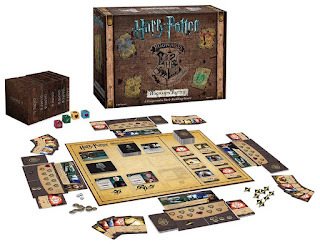 After playing through it once with Tim and Mariyoli, Jess and I ordered it on Amazon the next day. 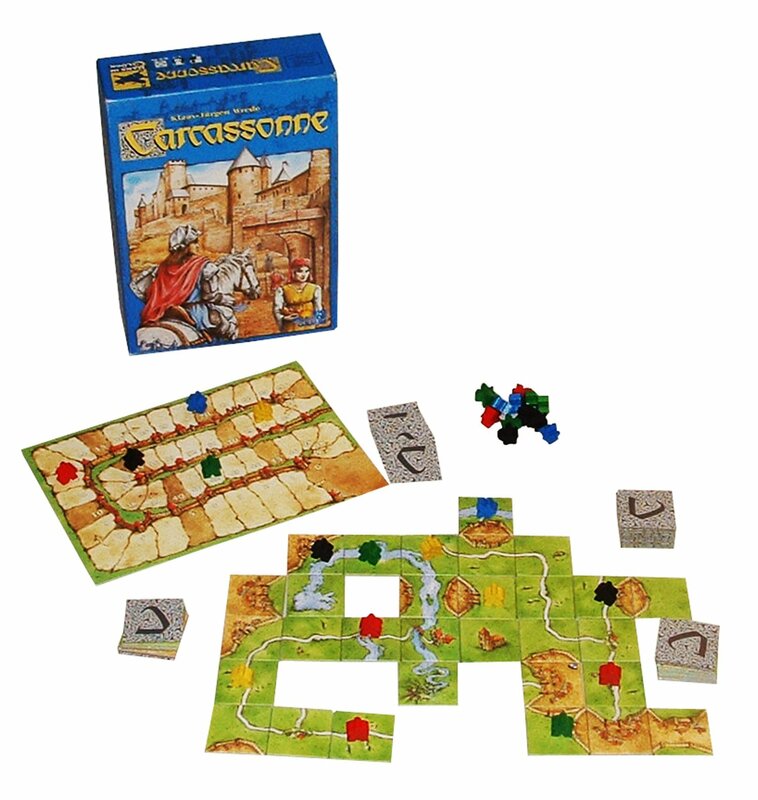 Playing Carcassonne became one of the ways we would spend time together in the evenings. I learned that there were expansions to the game, which added new aspects, so we picked up a few of those. One of the expansions we bought was actually only available from Germany, so after ordering it I had to find an English version of the instructions online. Although it was fun to play this game with each other, we occasionally experienced tension because we were playing against each other. I'd heard about a cooperative board game called Pandemic, in which players team up to eradicate diseases before they spread throughout the whole world. We picked it up, and had a pretty good time saving the world together. Now that I had ordered multiple games, Amazon was starting to show different board games in my suggestions. I was captivated by the image for a game called Smash Up. The cover of the box featured zombies, pirates, aliens, robots, ninjas, and other genre creatures. So I looked into it. In the game, each player picks two factions (like Wizards and Dinosaurs), shuffles those factions' decks together, and competes with other players to destroy bases (like a Ninja Dojo or an Alien Homeworld). 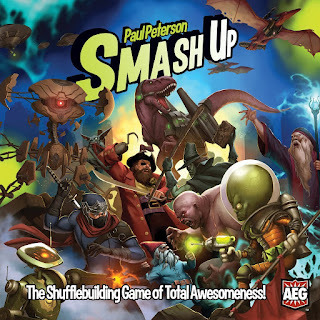 So when my next birthday came around, Smash Up was at the top of my wish list. And then, I was hooked. There was always some new game I wanted to try, or an expansion to an existing game. Thankfully for my wallet, I had Jess to rein me in. "Yes, that game looks fun, but do you need it right now, or can it wait until your birthday or Christmas?" We eventually found a tabletop and comic shop in town, and discovered that they hosted a game night every month, during which everything in the store was 20% off. Jess and I decided to get a babysitter and attend the game night. 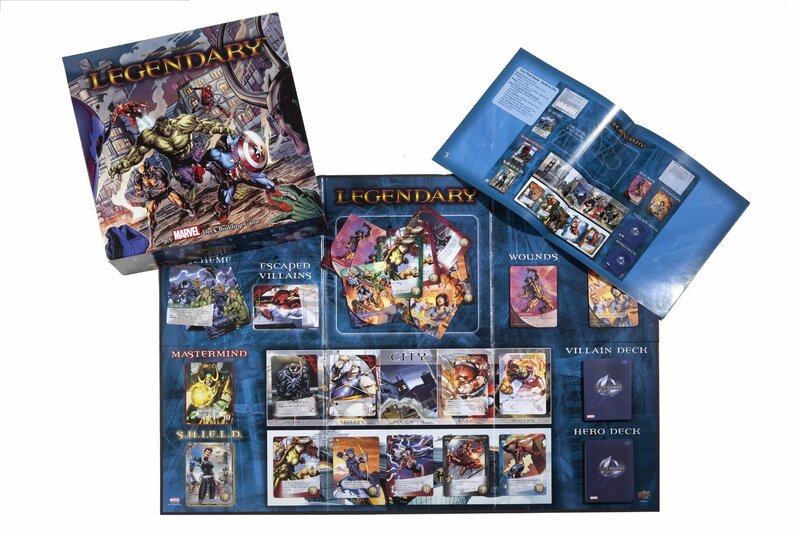 After playing a few of the games they had in their library, we purchased a game I'd had my eye on for a long time, Legendary: A Marvel Deck Building Game. This was a cooperative game that combined my love of Marvel comic book characters with my love of board games. Most recently, my brothers bought me a game for my birthday called Harry Potter: Hogwarts Battle. Like Legendary, it is also a deck building game (in which players start the game with basic cards, but acquire better and better cards throughout the game). 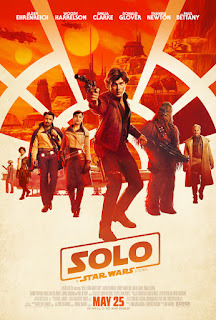 The four of us (my wife, my two brothers, and I) played it twice in one day, and had a great time. I hope that kind of gives an idea of the variety of games available out there. I plan to spotlight individual games in the future. For today, I'll just go into more detail about Carcassonne in the GCD Pick below. Carcassonne is a game made up of tiles. Tiles that have different features on them - walls, roads, cloisters, or fields. Players take turns placing tiles, making sure the features on the edges match up (you can't have a road just suddenly disappear, or an un-walled patch of city meet up with a field). They can then place a follower, or "Meeple" on a feature in that tile. When the feature is completed (a city will walls all the way around it, or a road with two endpoints, or a cloister with 8 tiles surrounding it), that feature is scored, and the player gets his Meeple back. With out getting too much into the technical details, there are some nuances - completed cities are worth more than roads, and incomplete features can still give you points (less points if they are cities) at the end of the game. There is also a move called farming. A player can place a Meeple lying on its side on the field portion of a tile. That Meeple will remain there until the end of the game, and will then score 3 points for every completed city that touches its field. Finally, there is the way in which you can steal (or share) features. You can't place a Meeple on a feature which is currently controlled by another player. However, you can place a Meeple on a feature (a city for example), which is separate at the time, and then try to place tiles so that your feature connects to another player's. If a completed feature has one Meeple from each of two players, those two players get the same score for that feature. But if one player manages to get two Meeples on a feature to another player's one Meeple, he gets all the points for the feature, and the other player gets none. This introduces a lot of interesting strategy to the game. Do I play multiple Meeples as farmers to try to steal this big field from another player? It could be worth a lot of points in the end, but then I'll have fewer Meeples to work with for the rest of the game. Should I play this tile here to complete my city, or play it over there to connect my field to another player's? Each player only has one tile in their hand at a time, which has advantages and disadvantages. On the one hand, it means you spend less time on your turn (or waiting for other people's turns), because there are only so many places you can put that tile. But on the other hand, it makes it harder to strategize. You can hope you'll get certain tiles in the future to further a particular scheme or strategy, but you can't guarantee you'll get them. But one thing I really like about this game is that a lot of scoring takes place at the end (farms and any incomplete features). So during the game, it's not always evident who is winning, or who is going to win. So if you're behind, you don't necessarily feel like the game is over for you. You can enjoy working on your cities, roads, farms, and cloisters, and getting points throughout the game. You might lose in the end, but in my experience (and the experiences of those who have played with me), the game is still really fun. If the game sounds really complicated from my description, it's really not that bad once you start playing. My wife and I were hooked after one play, and neither of us had ever played anything like it before. If you're interested, and would like to buy this game, you can find it on Amazon here. That link is a newer printing of the game than the one I bought, which can be found here. The newer printing is cheaper, but has slightly different art on the tiles, which might clash with the expansions. So if you're the type of person who would be bothered by that, I recommend the older edition. Thanks for reading! If you like my blog, and you'd like to receive emails each time I upload a new post, you can enter your email address below. If you want to express an opinion, ask a question, or give feedback about this post or others, feel free to leave a comment below, or email me at geekycatholicdad@gmail.com. If you would like to support the site, you can use my Amazon links to purchase any of the items I recommend. Or you can click the Amazon ad on the right side of this page (if you're on a computer) or the one on the GCD Picks page (if you're on your phone), and then proceed with your Amazon shopping. Lord of the Rings LCG is a fantastic cooperative game. The learning curve is a bit steep and the game can be very challenging, but well worth the effort. There is an abundance of guides both written and on YouTube. Yeah, we've actually played it. Apparently the learning curve was too steep for us. We played the introductory game, and liked it well enough. But the first scenario after that (which supposedly had a difficulty of 4 or 5 out of 9) kicked our respective behinds. And when we tried it again, not only did we lose, but we got into a situation which - the way we were reading it - was unwinnable. After that, we didn't have any desire to play the game. 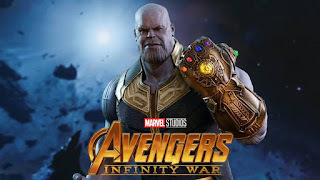 It seems like a cool game, and I like the idea of it. But apparently it's just not for us. Cool! I've heard of most of those, but I think the only one from that list we've played is King of Tokyo. That's the one we played at our first game night at the game shop. Later, I got King of New York for Christmas. If you've never gone, I HIGHLY recommend going to GenCon in Indianapolis. Thousands of board games, tens of thousands of people, and so much to do. It might be tricky to do with small children (though there definitely are babies there), but it's a lot of fun. My wife and I have gone for 3 years, and there's always something to do.